They idea was to use it for sharing interesting yoga articles and my favorite quotes only. Over time, it extended to posting my own writings, pictures, recommendations, yoga postures, and personal (travel) adventures. Yogilation is very close to my heart and really reflects my thoughts and experiences that I’m going through. I am amazed how much support Yogilation gets from so many of you! Thank you all SO SO much for all your love, feedback, inspiration and wonderful opportunities to publish my writings and to spread the word. You are absolutely amazing! Without you, Yogilation would’ve stayed just a little page with quotes. 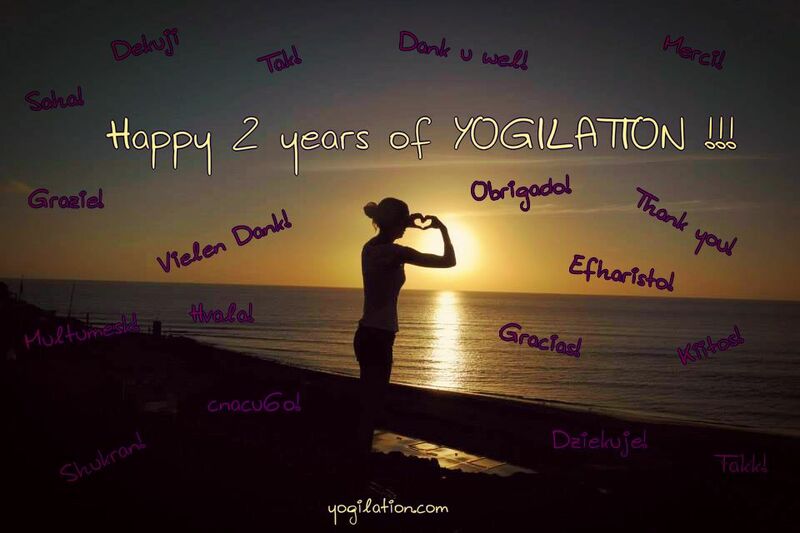 I’m excited for the 3rd year of Yogilation! Looking forward to your feedback, ideas, comments, requests, and shares! Please keep spreading the word! You are wonderful and VERY much appreciated!